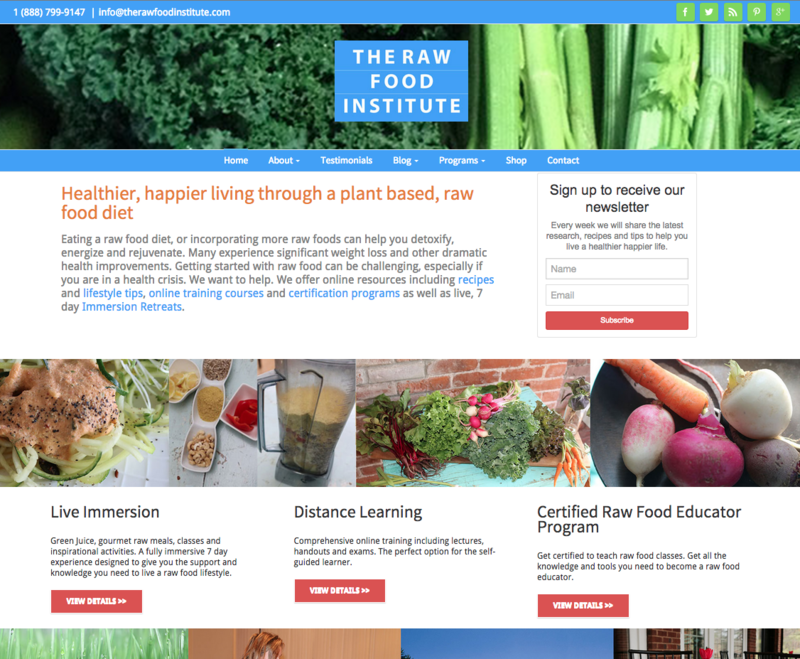 The Raw Food Institute had a custom Bootstrap website that they were unable to update. While the custom-coded website gave them the ability to design it however they wanted, once it was designed, they had to rely on a web designer for any tiny change they wanted. Lisa Wilson was already hosting dozens of successful in-person events every year, and her popular YouTube channel was driving plenty of traffic to her website. She was having a problem converting that new traffic to attendance at her events, because she couldn’t update the website easily when she wanted to make a new event or change some of the details. I converted the entire website (500+ pages) to WordPress, drawing plenty of attention to the videos that Lisa had been producing so regularly over the past few years. By custom-developing a Video Featured Image for her blog feed, I was able to get her abundance of Video Testimonials into a growing feed that she could easily add to and update over time. Best of all, whenever she needs to make a minor change to her website, it’s easy and painless to do.